Home / Mixed Bag / Indian Contemporary Salwar Suits in Blended Monochromes! Indian Contemporary Salwar Suits in Blended Monochromes! 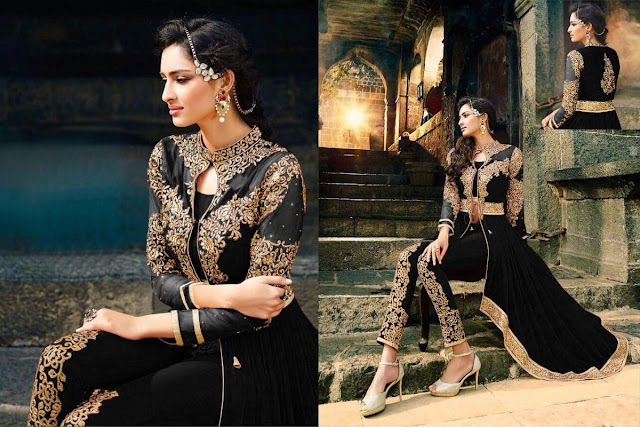 The mash up of Indian and Western styles has today given birth to more and more options of choosing a traditional contemporary salwar suit for going to a party or casual use. And this season, new neutral colours and shades of monochrome are on their top to attract the pretty ladies out there! Shades of black, greys and tonal whites are trending hotter and hotter. It feels as if the fashion of monochromes will never pass by and will keep returning back from time to time! Introduction of jackets with ethnic suits is an exceptionally beautiful innovation brought by the fashion industry. It gives you the feeling of wearing a classic contemporary and simply stylish outfit for various occasions, rather than going for those regular and boring salwar suits. An illusion of jacket can also be given by buying an online jacket salwar suit having good amount of embroidery on top. Flowy floor length anarkali suits are receiving a great response from women these days. Be it an engagement function or the wedding day of your bestie or some office colleague, these fit well into every function you wish to wear them. 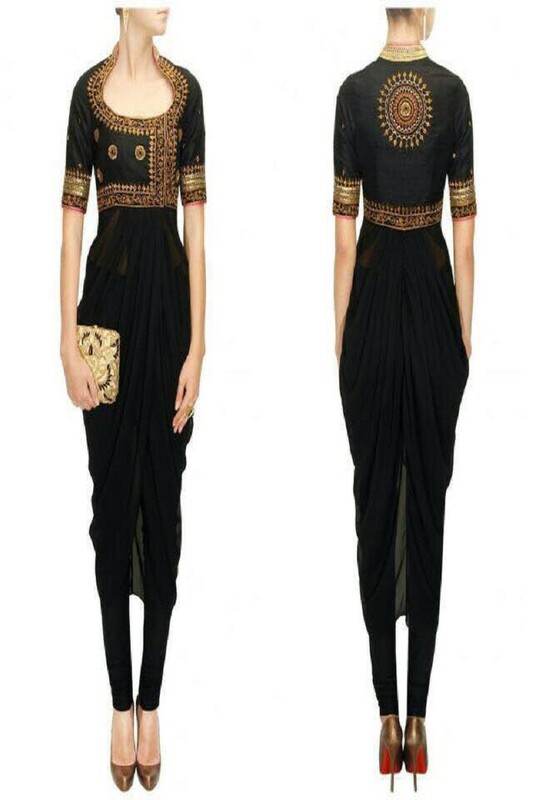 Embroidered ethnic anarkalis are running a hit show, as they give a graceful yet glamorous edge to the whole outfit. A variation in anarkalis has come up in the form of high- low anarkali pattern that appears equally stylish and classy. Online pant style Salwar suits are trending as hot as a fever nowadays! This style basically gives an attractive and crisp Indo-Western look to your traditional attire and adds more smartness. A centre slit suit increases the charm of your fitted pant even more! Dhoti is no longer a boys’ thing, as the fashion industry has brought it to girls’ clothing range too! These pants are easy to go and very comfortable to be in for the entire day. A variation in online dhoti Style salwar suits has come up in Indo-Western pattern to attract more fashion loving chicks. Love the post. Interesting outfits.